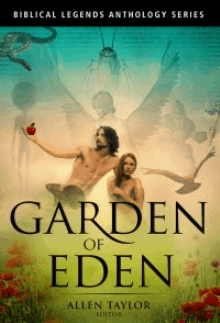 Somewhere in spacetime, God created Adam and Eve in a certain garden called Eden, but were they the only ones? Not according to the Garden Gnome. We’re looking for stories that depict characters who are not in the Bible but ARE in the garden. Who are these characters? What are they doing? Do they know Adam or Eve? Were they formed from the dust of the ground or did they arrive through their simian ancestors? Give us the nitty-gritty, the down and dirty, the speculative weird. FFantasy Fantasy Open to all/most Subgenres, including: Weird/New Weird. SShort Story Short Story 1,000 - 1,500 words; Up to 3 pieces. SShort Story Short Story 1,501 - 7,500 words.